Steiner proved that the envelope of the Wallace-Simson lines is a curve that has three cuspidal points that is called the Steiner deltoid. The Steiner Deltoid is tangent to the three sides of the triangle. 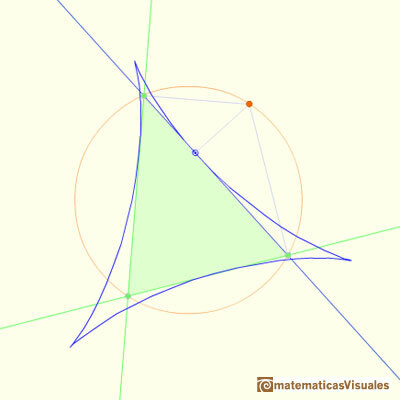 In this case, can you say where is the red point in the circumcircle in relation with some vertex of the triangle? The Steiner Deltoid is tangent to the three altitudes of the triangle. Steiner deltoid is a hypocycloid related with the nine point circle of a triangle. Interactive demonstration of the Wallace-Simson line. Steiner Deltoid and the Morley triangle are related. Central angle in a circle is twice the angle inscribed in the circle. 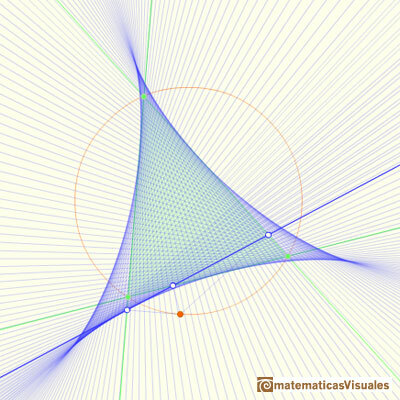 Interactive 'Mostation' of the property of central and inscribed angles in a circle. Case I: When the arc is half a circle the inscribed angle is a right angle. 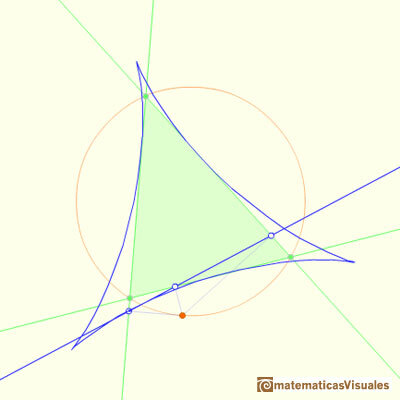 Interactive 'Mostation' of the property of central and inscribed angles in a circle. Case II: When one chord that forms the inscribed angle is a diameter. 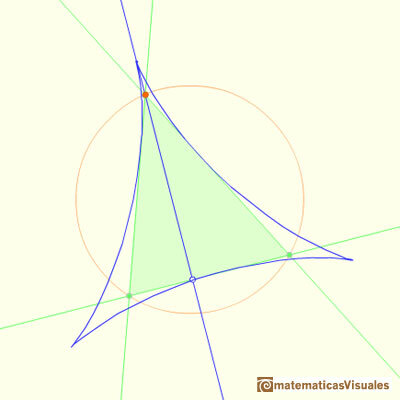 Interactive 'Mostation' of the property of central and inscribed angles in a circle. The general case is proved. Using a ruler and a compass we can draw fifteen degrees angles. These are basic examples of the central and inscribed in a circle angles property.